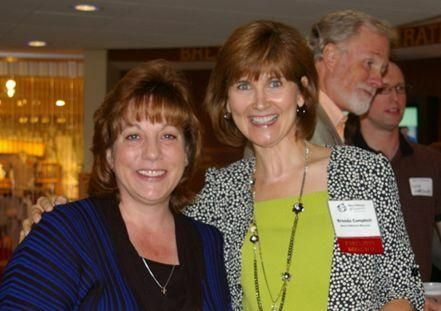 Associated’s Karyn Conklin (left) with Brenda Campbell, Executive Director of Make A Difference Wisconsin. “I was honored to represent Associated and Make A Difference-Wisconsin at the awards ceremony,” said Conklin. In the classroom, Conklin uses her job knowledge and humor to connect and earn the respect of the kids. In her professional position, Conklin is familiar with the negative effects of fraud. “Because many of the children are susceptible to identity theft and cash advance companies, they need to understand the good and the bad of banking,” explains Conklin. The financial classes focus on the basics of Consumer Banking such as checking, savings, credit scores and identity theft. If you are interested in becoming a Difference Maker, visit Make a Difference - Wisconsin.